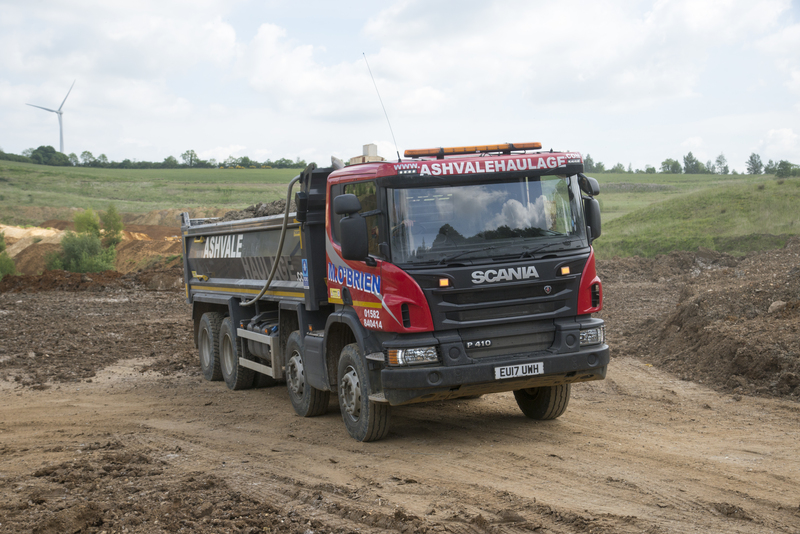 In Partnership with our satellite company Ashvale Haulage LTD, we run a large modern fleet of 8 wheel tipper Lorries. With the same safety first philosophy as M O’Brien Plant Hire, the Ashvale fleet have all the latest innovations fitted as standard and run to full crossrail spec regardless of where we are working. Our drivers are all Fors trained and registered and understand the importance of road safety. We can offer a first class service thanks to our haulage routing and management team based in Leighton buzzard and a high tech vehicle tracking system, we can be on top of your collections and deliveries in real time to minimise waiting and downtime on site. With our dedicated restoration site in Heath and Reach we can guarantee our tipping slots, which gives you the confidence that your booking won’t be cancelled due to availability something not every firm can offer you. Our Heath and reach facility is cleared for clean inert muck importation, for all other soil types we have built up relationships with other facilities to ensure tipping slots can be booked and allow us to continue a smooth service for other types of muck away such as Non HAZ and Hazardous soils.